Complementing your room décor, this embroidered standard sham cover from Lane Crawford is crafted from grey cotton sateen. 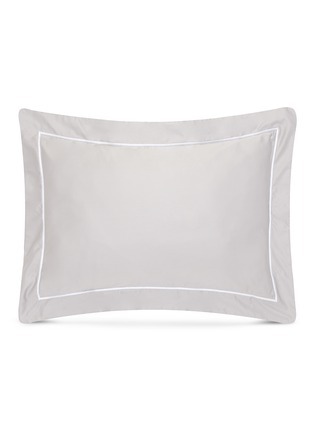 Get face-to-face comfort with this pillow case for an ultra-soft touch in your slumber. Thread count: 600 per sq in.